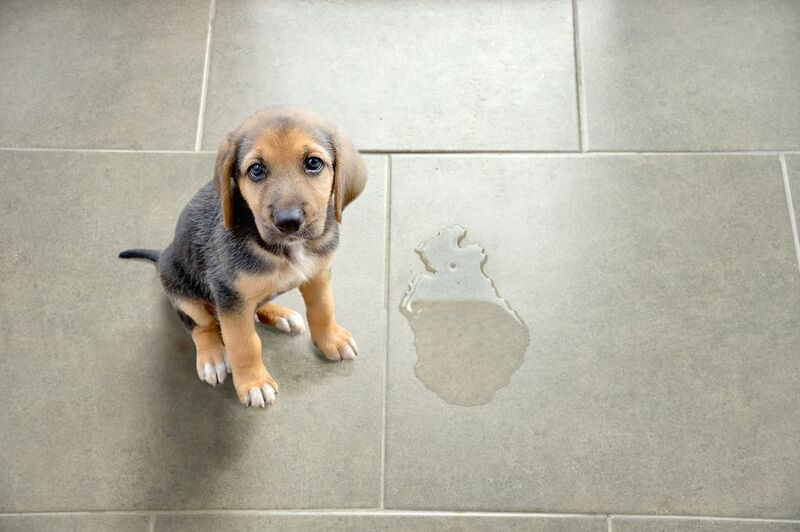 Puppy potty accidents during house training often result in pet stains but changing food too quickly also can lead to messes when the puppy can't get to their bathroom in time. Puppies that feel sick also can lose potty training, even though they know better. Besides getting rid of odors, cleaning the right way helps prevent future potty accidents. A single “whoops” can lead to multiple offenses if the “potty spot” hasn’t been properly cleaned because pets can detect minute chemical scents humans can’t fathom. Simply mopping up the mess may satisfy your nose, but the smell lures your innocent puppy back to the scene of the crime to repeat the dirty deed, time after time. With fresh accidents, pick up the solids and blot up as much liquid as possible. Avoid using ammonia-based cleaning products. Since urine has ammonia in it, such products may mimic the smell and make the area even more attractive as a potty spot. 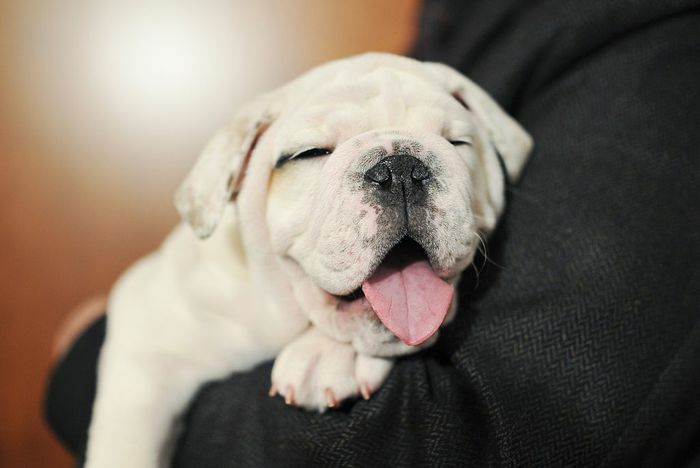 Once urine dries on carpet or walls your puppy’s “pee-mail” notes are even more difficult to locate and clean. Follow your nose and turn a light on the subject to discover the hidden evidence. Turn off all your lights and shine a high-quality black light on suspect areas—that makes urine glow in the dark. Don’t forget to check vertical areas such as walls and bedspreads that leg-lifting dogs like to target. The best products don’t just clean the area or cover up with perfumes but neutralize the chemicals that smell bad. Urine is composed of sticky urea, urochrome (the yellow color), and uric acid. The first two can be washed away, but uric acid is nearly impossible to dissolve and remove from surfaces. Successful products not only clean away the urea and urochrome, but they also neutralize the uric acid with enzymes or encapsulate the urine molecules to contain the odor. Here are a few examples of products that really work. Ask for them at pet products stores, your veterinarian, and online sources. Anti-icky-poo earned raves from animal behaviorists—and besides. Anti-Icky-Poo uses live bacteria to eliminate any organic material left behind by your pets. AtmosKlear odor eliminator developed for the automotive industry can be used straight or mixed with other cleaning preparations. It’s recommended for pet odors and other household odors (smoke, gym bags, basement mustiness, etc). Nature’s miracle has been recommended by pet professionals for years. It employs an enzyme that breaks down and neutralizes the odor. Clean+green is made from organic ingredients that “encapsulate” the odors. This product claims to be safe for use on “skunked” pets, too and has specialty products for various surfaces (carpet, hardwood, furniture). Urine-off employs an enzyme that digests the urine molecules. The website also offers quality black lights for aid in finding and cleaning problem spots.